In southwestern Minnesota, between the communities of Jeffers and Comfrey, is a Minnesota Historical Site called the Jeffers Petroglyphs (http://www.mnhs.org/places/sites/jp/). 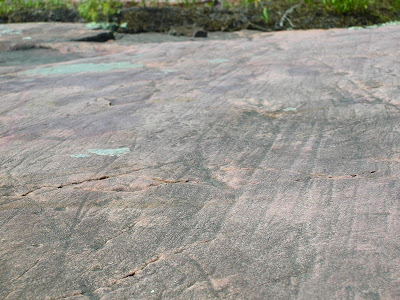 The earliest carvings at the Jeffers Petroglyphs were done approximately 7,000 years ago by early Native Americans and some carvings extended until recent times. 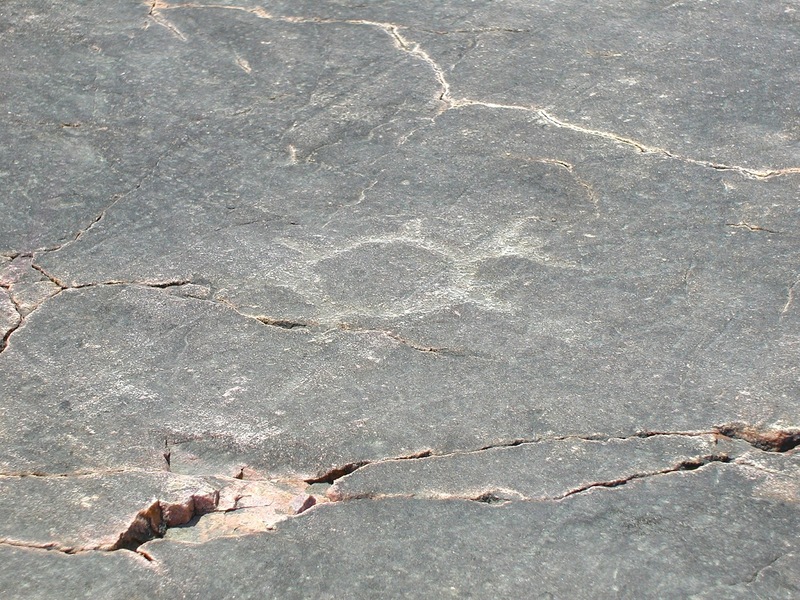 From the interpretive center, it is a short trail walk to the petroglyphs site. 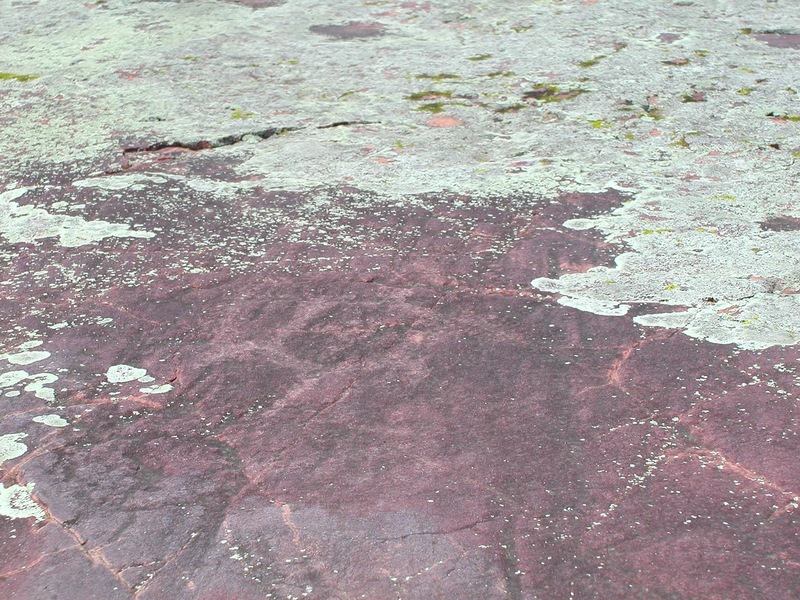 The rock outcrop that the glyphs have been carved into is no more than a few football fields in size. 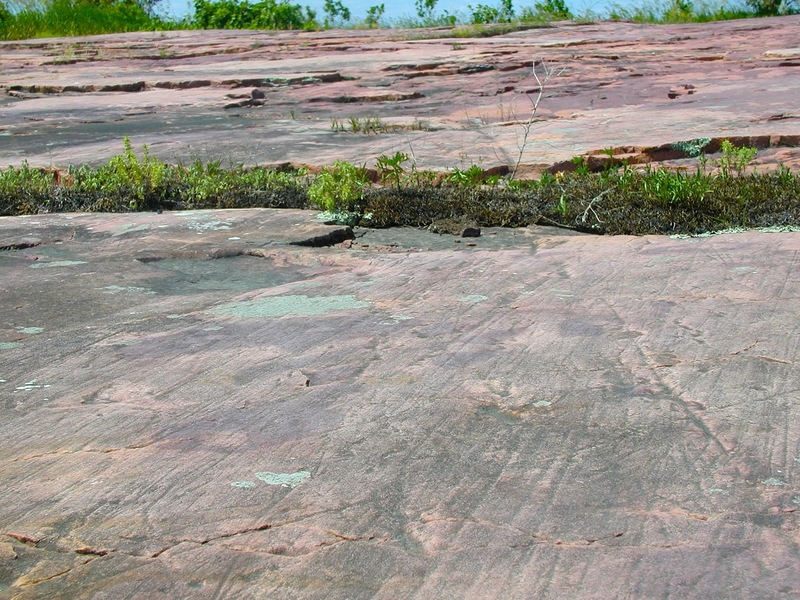 Prominent bedrock in southwestern Minnesota is comprised of Archean gneisses and 1,700 million year old Sioux Quartzite. 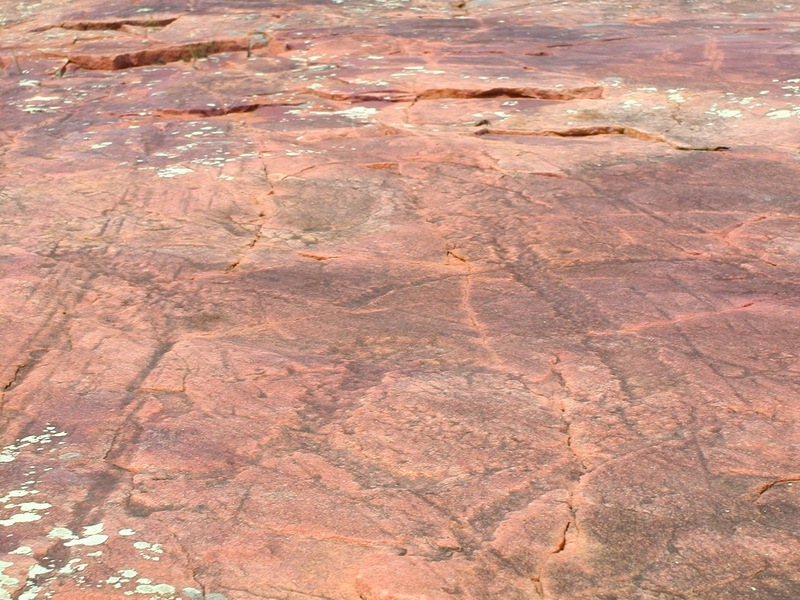 The petroglyphs have been carved into the Sioux Quartzite. 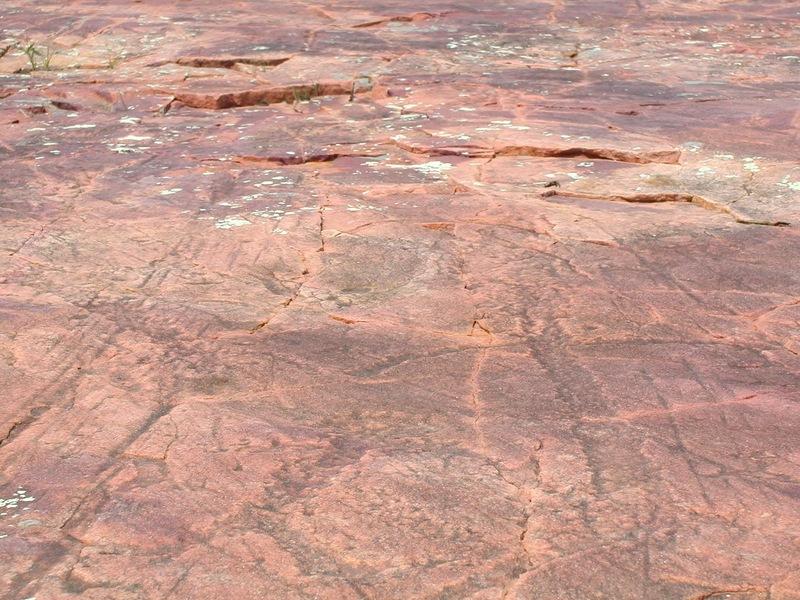 Throughout the area, the quartzite ranges in color from pink to purple, at this location is is largely pink. 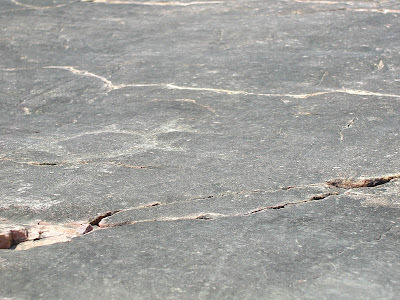 The quartzite is derived from quartz sand. 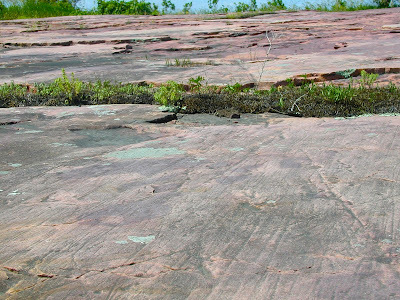 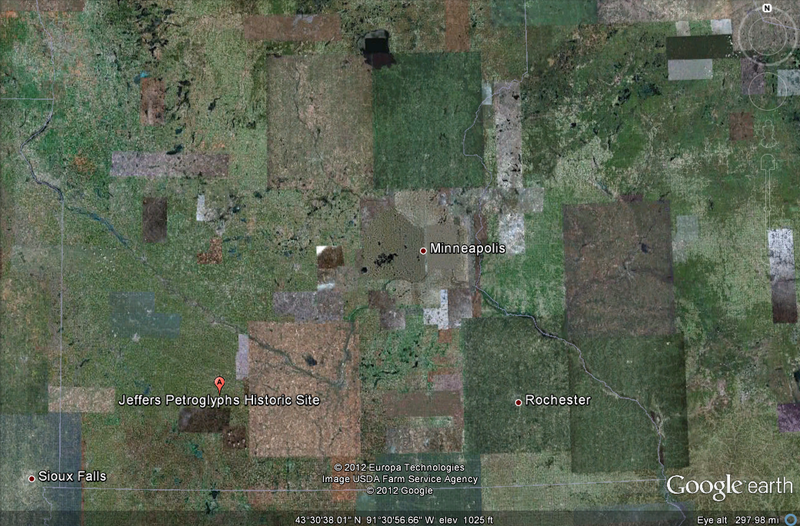 The source location of the quartz sand grains is the Penokean Mountains, which were located across central Minnesota and into Wisconsin during Proterozoic times. As these mountain ranges were weathered and eroded, most minerals would have been changed into clay and easily transported away. The weathering resistant quartz, were transported south and deposited largely by rivers. 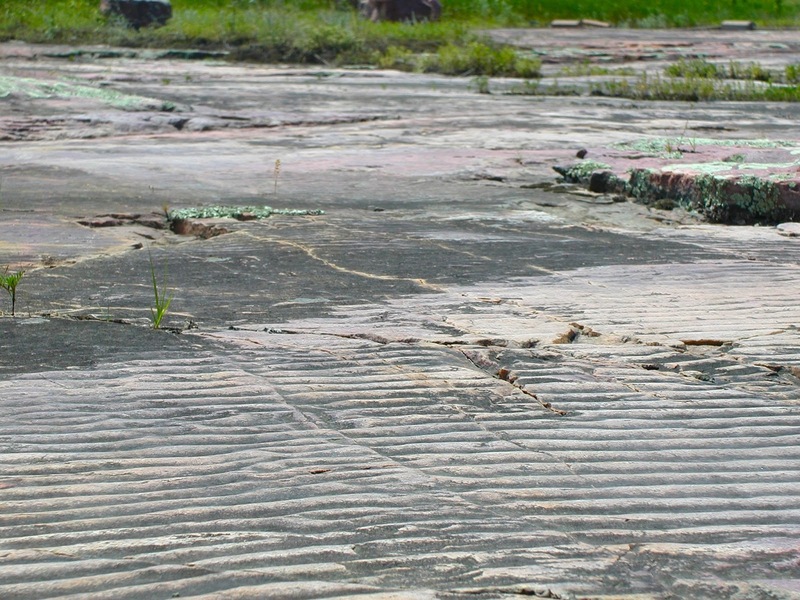 Cross-beds and ripples found in the quartzite indicate the direction of movement of the flowing water as the quartz sand grains were being deposited. 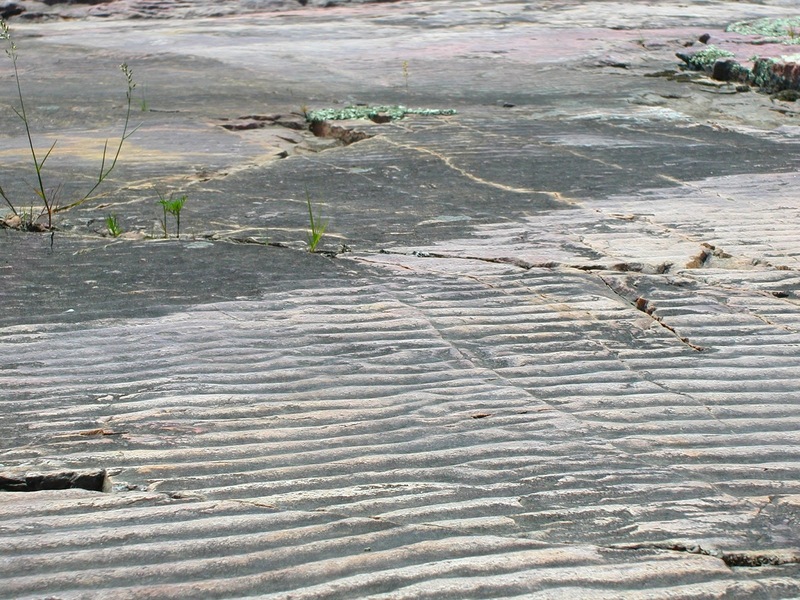 The majority of cross-beds and ripples suggest a southward direction. 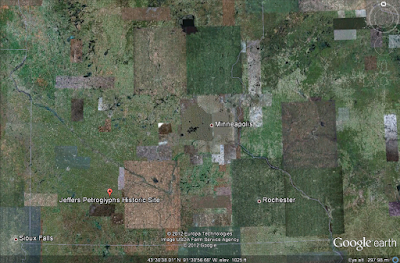 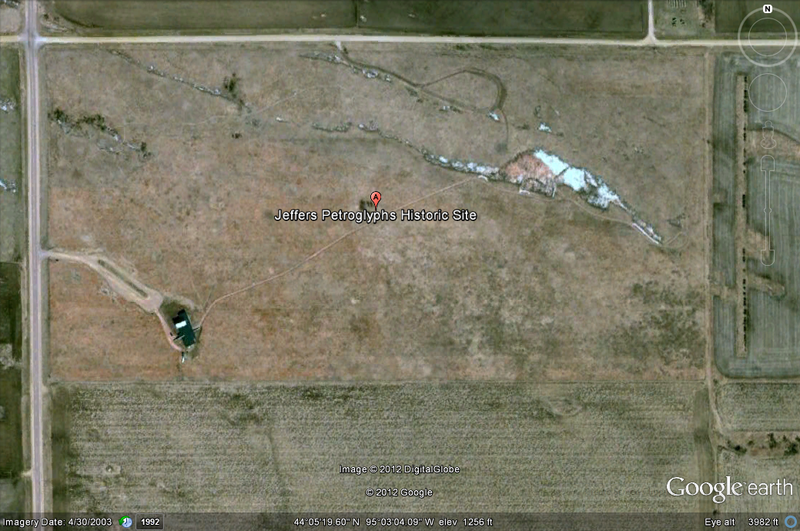 There are a few locations known of southward-dipping cross-beds found directly beneath northward-dipping cross-beds. 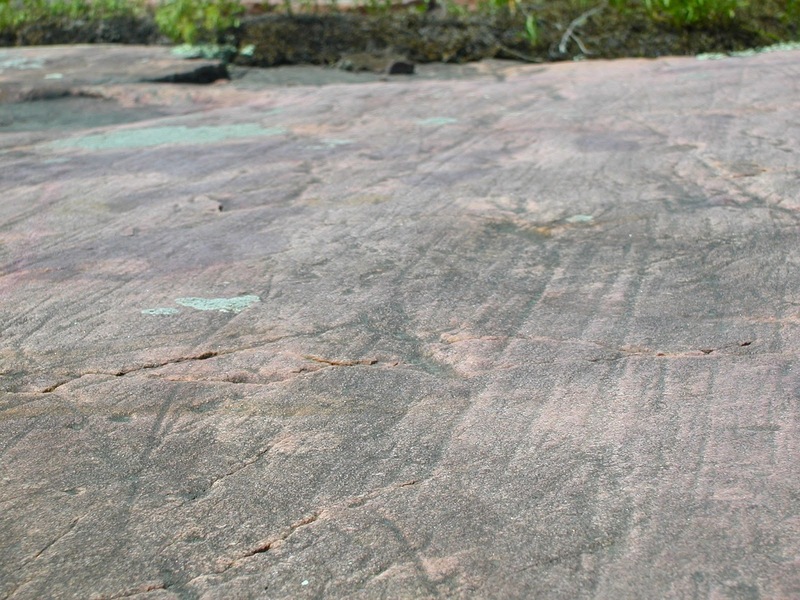 This suggests that the depositional environment would have been near an ocean shore under the influence of tides. The carvings would have been done by using another rock type of equal or greater hardness than the Sioux Quartzite. 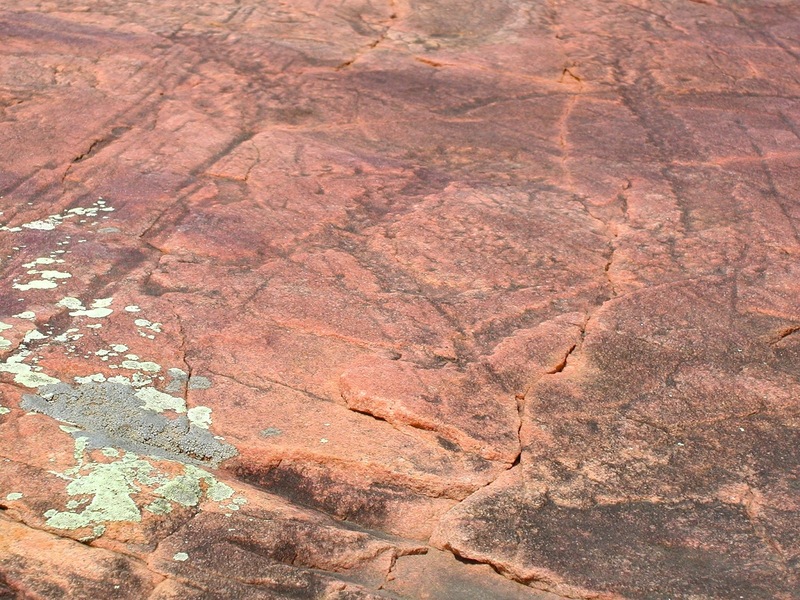 Carvings include birds, turtles, bison, thunderbirds, weapons and a great number of other objects. 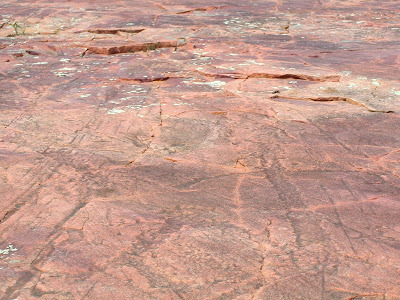 The site most likely represents a religious illustration of important aspects of the lives for these earlier Native Americans. 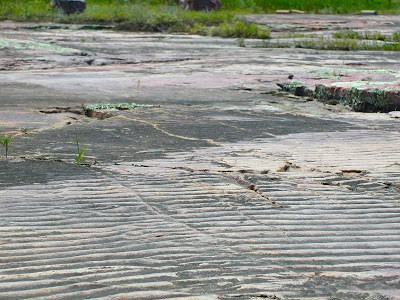 Also found throughout the site are numerous glacial striations in the quartzite, representing evidence of past glaciation during the Late-Wisconsin glaciation. 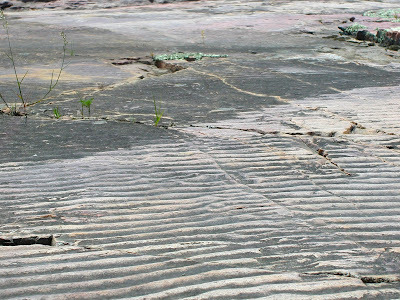 The glyphs are carved over the striations, ensuring that they are younger than the glacial period before them. 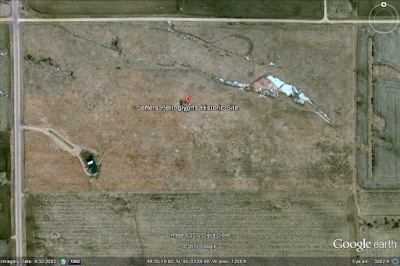 The Jeffers Petroglyphs site is found in the area of the state that once was large prairies before European settlement. 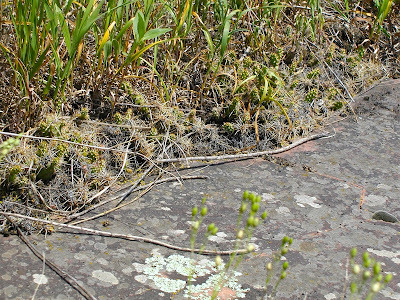 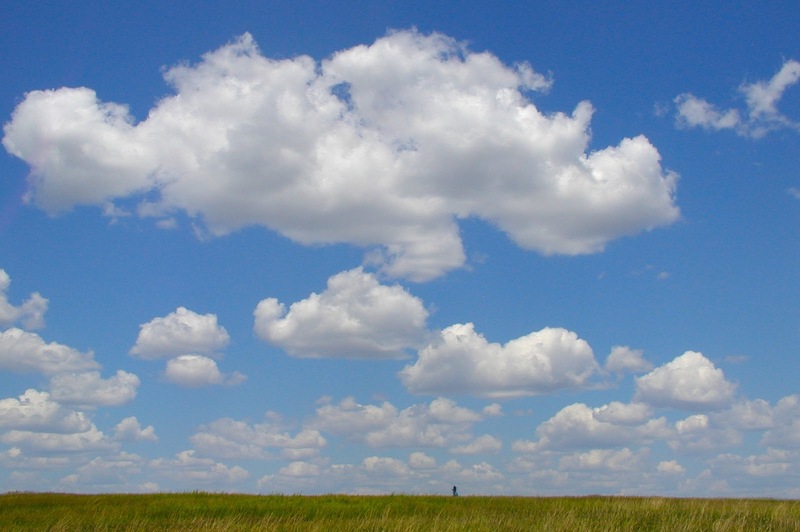 The site is home native prairie grasses and wildflowers and is also one of the few areas in the state where you can find prickly pear cactus growing.